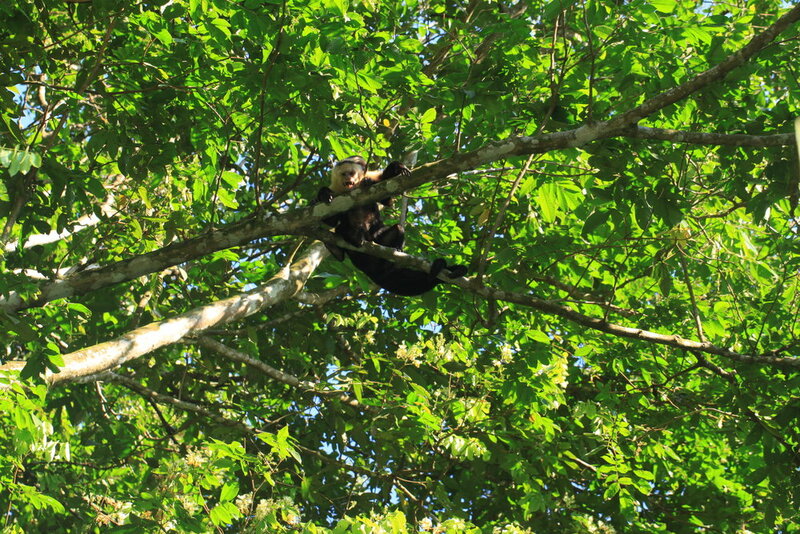 Though I consider Manuel Antonio quite a touristy area, it's an incredible place to see all sorts of wildlife, which is probably why it's so popular. 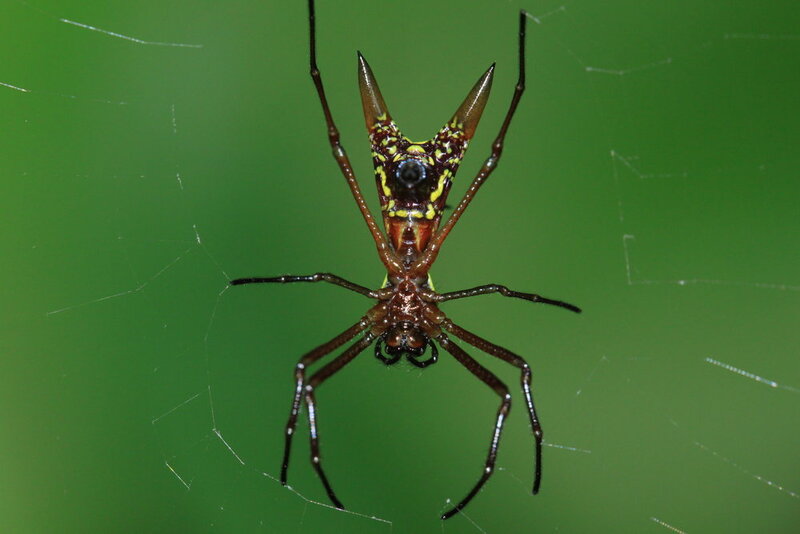 Admittedly, I have a preference towards plants, fungi, insects and spiders, but I saw quite a number of other creatures too, including spider monkeys, sloths, and reptiles. Before heading out to the National Park, I managed to pop by the Spanish school where they were making traditional Costa Rican fare, which was basically corn meal and veggies wrapped and cooked in banana leaves. It was precisely what I needed before heading out on a little jaunt through the park. One of the local ladies taught the class how to make some traditional Costa Rican fare. A damselfly sits on top of a succulent in Manuel Antonio, Costa Rica. Spider monkeys screaming from the trees. Manuel Antonio, Costa Rica. A gorgeous Harlequin Beetle (Acrocinus longimanus) popped up on the school house and WOW—to see one up close was a thrill! Looking in the eyes of a Harlequin beetle (Acrocinus longimanus). Manuel Antonio, Costa Rica. Spiny Orb Weaver Spider (Gasteracantha cancriformis) looks like an ancient shield. 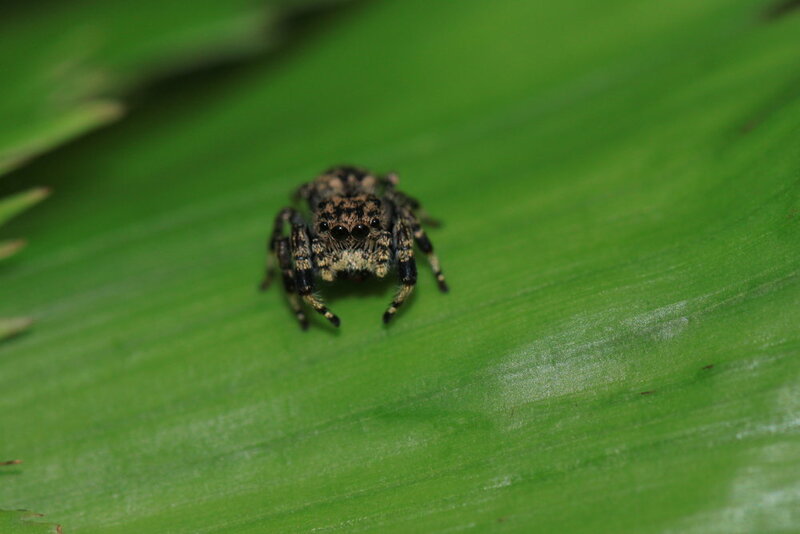 A black and yellow banded jumping spider, species unknown. If you have a clue as to what it is—please let me know! A jumping spider waits for his prey—and I unexpectedly and excitedly get the shot of him pouncing on his prey! Burp!!! The jumping spider successfully caught a fly in Manuel Antonio, Costa Rica. The delicate egg of a lacewing larvae on a leaf. Manuel Antonio, Costa Rica. Leaf cutter ants can carry a leaf that is 50 times its own body weight. These leaves are then processed to grow fungus gardens that feed the entire colony. A host of damselflies in Manuel Antonio, Costa Rica. A crab spider in the family Thomisidae on a heliconia makes its move on a honeybee. I sat for at least a half hour and saw the spider catch two different insects, which is quite a successful day! Stink bug, Manuel Antonio, Costa Rica. A hairstreak takes a rest on a heliconia. Bats on a wall. Manuel Antonio, Costa Rica. Paper wasp in Manuel Antonio, Costa Rica. An iguana looks on as I get closer to it. Manuel Antonio, Costa Rica.